It was also decided that it would be best to create a new thread instead of updating the previous thread. This is because it was getting old and we can't add the new information such as the dates to any of the previous ones. By doing this we hope the donations thread will look a lot cleaner and better with this additional information. This will also then let users know when certain donations took place. Looking for the old donations thread? Just click here. Want to donate to Habbox? 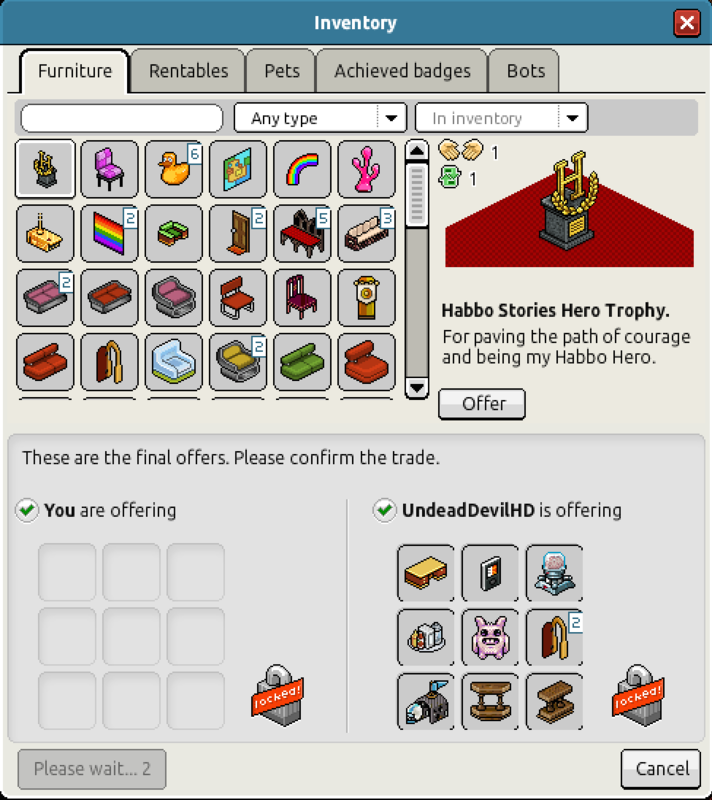 If you would like to donate to Habbox then you can donate furniture and credits to any Habbox manager or General Manager (click here to see who they are!) You can contact either of them via Private Message (PM) on HabboxForum or by finding them on Habbo. All donations are appreciated and they really do help us in the funding for prizes for competitions and events in various departments. Note: Please bear in mind this is the new donations thread and anyone who donates to Habbox from this day forward will be added onto the list. Once you have donated - We cannot refund any donations if you have changed your mind. Donations to Habbox will be used primarily for large scale events & promotions, to giveaways run by Habbox and to the making of official Habbox rooms. Please contact lawrawrrr, despect or Sho if you are interested in helping out, as we rely entirely on donations to create rooms, hold giveaways and run events. 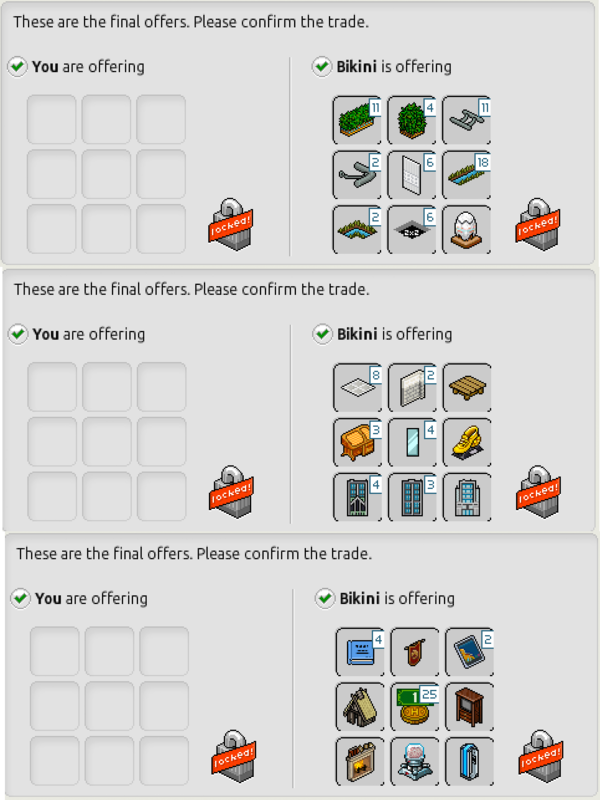 18/02/13 - TooClose Donated 400 items of Furni. 11/04/13 - AussieGambler Donated 500 credits. 13/04/13 - AussieGambler Donated 500 credits. 19/11/13 - MissAlice Donated 300 credits. 19/01/14 - HE-Joshua Donated 55 Credits. 11/04/14 - Inseriousity. 350 Credits. Donations to the Competitions Department will be used as prizes in Habbox competitions, and in events run by the Competitions department. 19/01/2014 - HE-Joshua - Donated 50 Credits. Image. 18/12/2014 - davemateee - Donated 100 credits. 18/12/2014 - !:Random!:! - Donated 15 credits. 10/02/2015 - Samanfa - Donated 100 credits. 05/04/2015 - Yuxin - Donated 50 credits. 30/05/2015 - 2hd. - Donated a variety of norms. Donations made to the Events Department will be used as prizes in large scale events ran by the department, and into the making of games rooms etc. 27/02/16 - IonCow donated 380 credits plus furniture including a Fire Dragon! Donations to the Forum Department will be used in events and competitions run by the Forum department. This includes quick quizzes and larger-scale promotions of the forum. Contact Sloths if you'd like to donate. Donations to the Helpdesk Department will be used as prizes in HxHD events, and in other promotions ran by this department. 19/01/14 - HE-Joshua Donated 50 Credits. 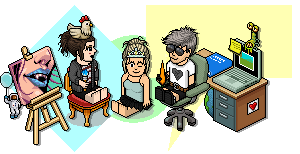 Donations to the HabboxLive Department will be used as prizes in HxL events, and in other promotions run by the radio department. Last edited by Sloths; 15-12-2018 at 09:23 PM. 12/03/2017 - Left Habbox - Will visit now and again. We thank Intersocial for donating 165 credits to Habbox! Thank you to Intersocial for donating 100 credits to Habbox. This will be used on the Back to School tournament as requested. Thank you to Mr-Trainor for donating 250 credits to Habbox. Thank you to Mr-Trainor for donating 50 credits to Habbox. Thank you to 650c for donating 20 credits to HxHD! Thank you to Jellyfish for donating 500 credits to Habbox! Thank you to TooClose for donating 400 pieces of Furni. Thank you to AussieGambler for donating 500 credits. 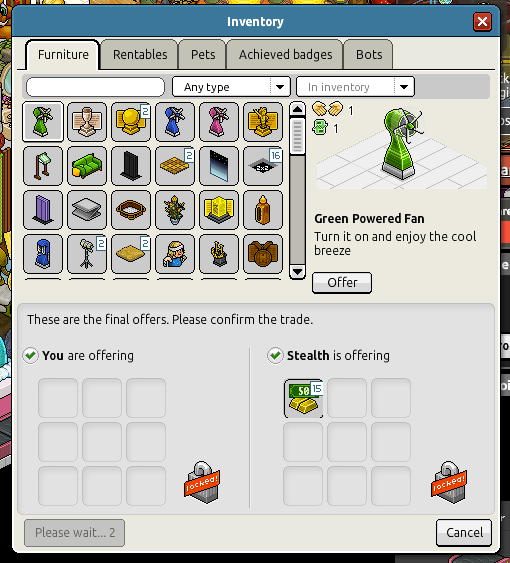 A massive thank you to adECW (Nalfar) who has donated a massive 2350 credits to Habbox.